Python Pandas is a Python data analysis library. It can read, filter and re-arrange small and large data sets and output them in a range of formats including Excel. 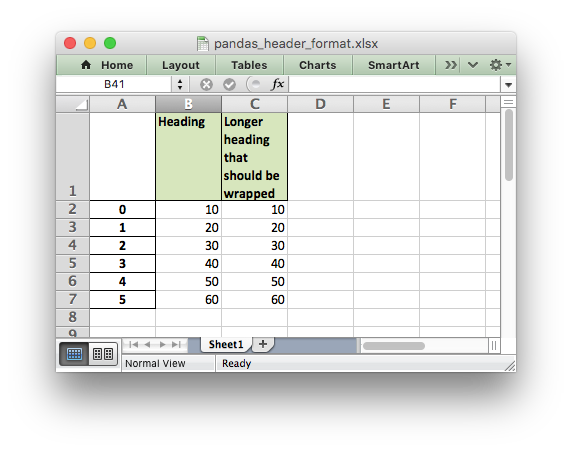 Pandas writes Excel files using the Xlwt module for xls files and the Openpyxl or XlsxWriter modules for xlsx files. # Create a Pandas dataframe from the data. See the full example at Example: Pandas Excel example. In order to apply XlsxWriter features such as Charts, Conditional Formatting and Column Formatting to the Pandas output we need to access the underlying workbook and worksheet objects. After that we can treat them as normal XlsxWriter objects. The Workbook and Worksheet objects can then be used to access other XlsxWriter features, see below. See the full example at Example: Pandas Excel output with a chart. The above example uses a fixed string =Sheet1!$B$2:$B$8 for the data range. It is also possible to use a (row, col) range which can be varied based on the length of the dataframe. 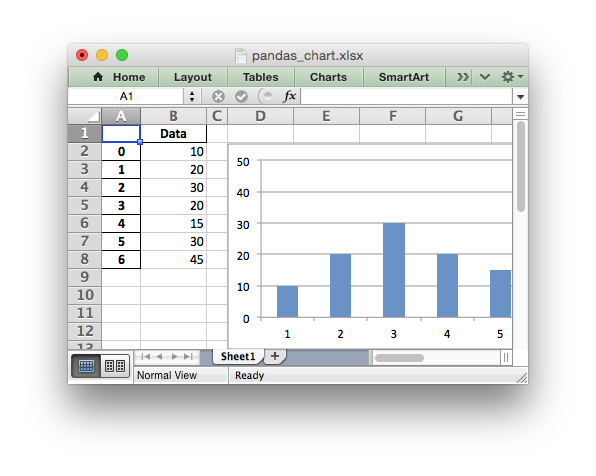 See for example Example: Pandas Excel output with a line chart and Working with Cell Notation. See the full example at Example: Pandas Excel output with conditional formatting. XlsxWriter and Pandas provide very little support for formatting the output data from a dataframe apart from default formatting such as the header and index cells and any cells that contain dates or datetimes. In addition it isn’t possible to format any cells that already have a default format applied. 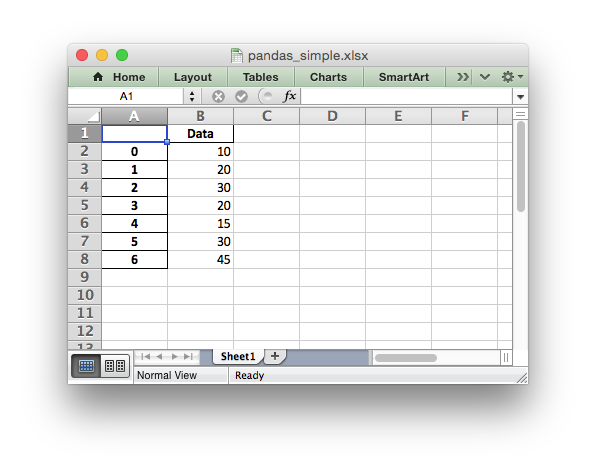 If you require very controlled formatting of the dataframe output then you would probably be better off using Xlsxwriter directly with raw data taken from Pandas. However, some formatting options are available. 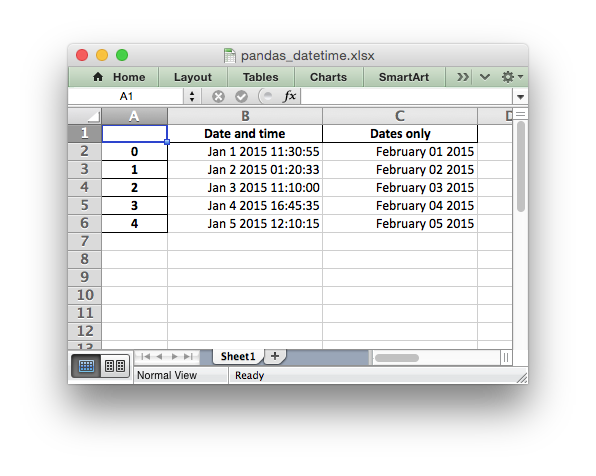 See the full example at Example: Pandas Excel output with datetimes. # Add some cell formats. # Set the column width and format. # Set the format but not the column width. Note: This feature requires Pandas >= 0.16. See the full example at Example: Pandas Excel output with column formatting. # Add a header format. # Write the column headers with the defined format. See the full example at Example: Pandas Excel output with user defined header format. See the full example at Example: Pandas Excel with multiple dataframes. 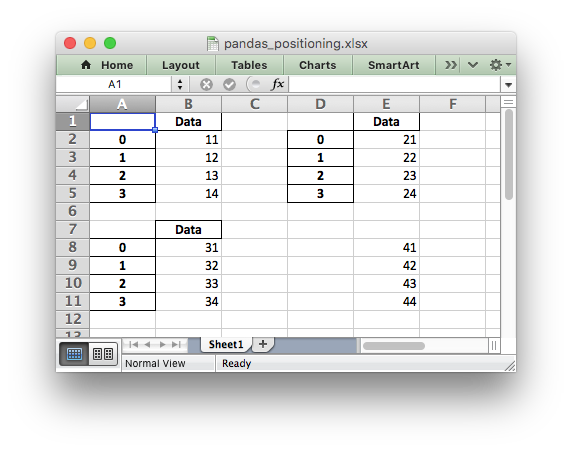 See the full example at Example: Pandas Excel dataframe positioning. # Use the BytesIO object as the filehandle. # Write the data frame to the BytesIO object. Note: This feature requires Pandas >= 0.17. Here are some additional resources in relation to Pandas, Excel and XlsxWriter. The XlsxWriter Pandas examples later in the document: Pandas with XlsxWriter Examples. The Pandas documentation on the pandas.DataFrame.to_excel() method. 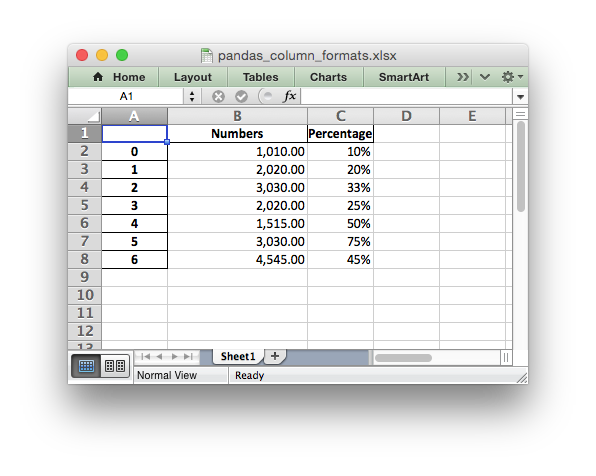 A more detailed tutorial on Using Pandas and XlsxWriter to create Excel charts. The series of articles on the “Practical Business Python” website about Using Pandas and Excel.